PM Modi said the RuPay card has enhanced the sense of dignity of the poor. New Delhi: Prime Minister Narendra Modi on Sunday said 30 crore families have been linked to Pradhan Mantri Jan Dhan Yojana in the last three years and Rs 65,000 crore deposited in their accounts. Addressing his monthly radio programme 'Mann Ki Baat', he said the Jan Dhan Yojana would complete three years on August 28. "We have connected 30 crore new families to it, opened new accounts. 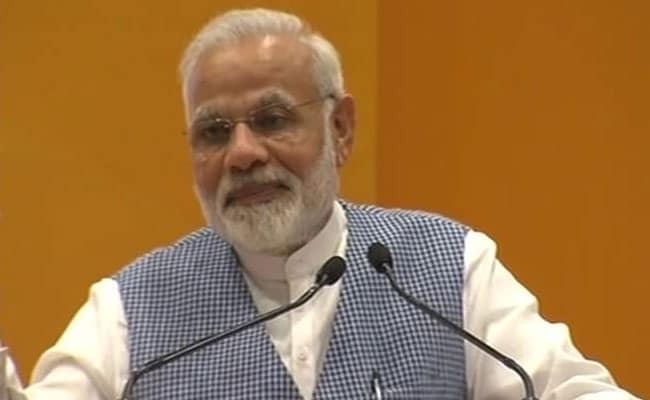 This number is more than the population of several countries," PM Modi said. He said the poor had become part of the mainstream of national economy, and the poor were saving money and feeling the security that comes with it. "If money stays in hand, there is a desire sometimes to overspend it. Today, there is an atmosphere of restraint. The poor man too feels that money saved will come for the use of his children or in some other good venture," he said. He said the RuPay card had enhanced the sense of dignity of the poor. "The poor have deposited Rs 65,000 crore in the banks. This is their saving and a source of strength for their future," he said. PM Modi also referred to the poor benefiting from the insurance schemes -- Pradhan Mantri Jeevan Jyoti Yojana and Pradhan Mantri Suraksha Bima Yojana. The Prime Minister said millions of youths had got loans under the Mudra Yojana which had helped them stand on their feet and created employment opportunities.